It is a shell mold which consists of two halves and is made of resin-coated sand using heated pattern equipment. Resin-coated sand is curing by thermal load during mold production. Thereby accrues in dependence of temperature load and time shell-like mold halves with a defined thickness. Shell molds allow minimal mold material (resin coated sand) input. The halves are glued together to a mold. Also cores can to be inserted (shell molding). 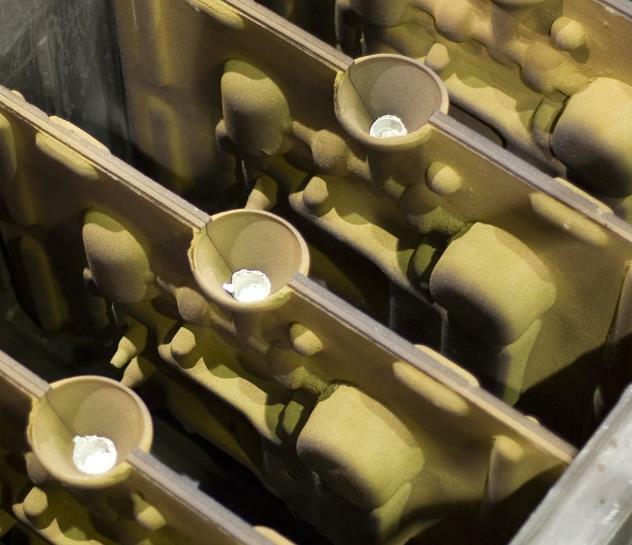 The stability of this shell molds during the casting process is increased by back-filling with steel shot. Fig. 1 shows an example from a pre-glued shell mold without backfill.